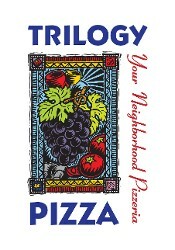 Since 2004, Trilogy Pizza has been offering amazing pizza that just can't be beat. But we're not just a pizza place — we also offer fresh salads, fantastic appetizers, savory pastas, and tantalizing desserts. And don't forget our extensive list of wines and beers! Drop by today and experience some of the best food in San Antonio. All Appetizers Half Off During Happy Hour and Late Happy Hour! Discover the best pizza in San Antonio! With seating for over 100, we welcome everyone to experience excellent food at reasonable prices. Our happy hour lasts from opening until 6 p.m. and 8 p.m. until closing time, so you have plenty of time to take advantage of house wine discounts and half-price appetizers (for dine-in guests only). Your satisfaction is our goal. If you have any feedback or suggestions, feel free to send them our way! 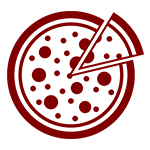 Tuesday – Thursday, 4:00 p.m. – 9:00 p.m.
Friday, Saturday, 11:30 a.m. – 10:00 p.m.
Sunday, 11:30 a.m. – 9:00 p.m.